Whether you're staying nourished during a natural disaster, or need fuel to make it through your busy day, Lindon Farms Freeze Dried Corn does the trick. This delicious vegetable is packed in resealable, puncture resistant, Metalite pouches. For up to 25 years, Freeze Dried Corn can be stored in a cool dry place or circulated with your family's groceries. 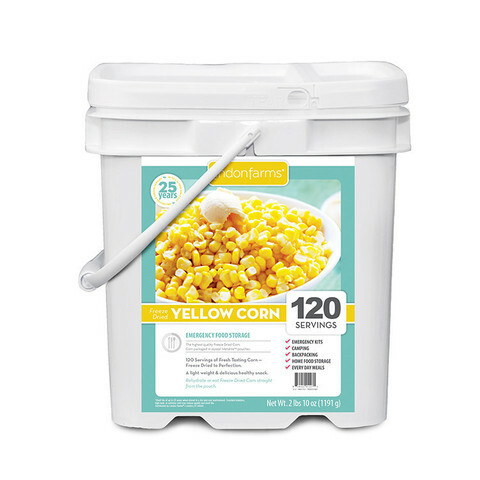 Don't miss out on the natural sweetness of corn for years to come!